Avendus Capital advises Cuisine Asia on its fund raise from Verlinvest. Everstone Capital’s food & beverage (“F&B”) services platform, Cuisine Asia, has raised primary funds from Verlinvest for a minority stake. Cuisine Asia is the holding company of Pan India Food Solutions Private Limited (“Blue Foods”) and also owns a substantial stake in J. S. Hospitality Services Private Limited. Funds raised in Cuisine Asia platform will be primarily used to continue organic growth of Blue Foods and to also look at select acquisitions and franchising opportunities. Blue Foods is one of the leading players in the organized F&B retail business in India with more than 130 outlets in 10 cities across the country. Blue Foods has a portfolio of strong brands in different cuisines across various formats. The brands operated by the company include Spaghetti Kitchen, Copper Chimney, Gelato Italiano, The Coffee Bean & Tea Leaf, Bombay Blue, Noodle Bar and Spoon. JSH Hospitality Services Private Limited is India’s leading North Indian specialty restaurant chain. The company is currently operating 31 restaurants under the brand Pind Balluchi primarily in Northern India. Avendus Capital was the exclusive advisor to Cuisine Asia for this transaction. 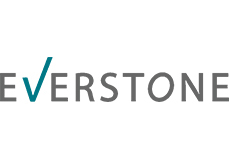 Everstone Capital, headquartered in Singapore, is a premier alternative asset manager with assets in excess of US$1.6 billion dedicated to private equity and real estate focused on India. Everstone has significant resource base with more than 100 people working across offices in India (Mumbai, Delhi, Bangalore), Singapore and Mauritius. Everstone follows focused strategies of investing in domestic consumption themes and enablers of infrastructure. Everstone’s teams consist of strong talent, comprising best-in-class investing, operations and strategic resources, with an active investing philosophy with its partner companies. Verlinvest is a Belgian family owned investment holding company, a fund created by the three founding families of beer conglomerate Anheuser-Busch InBev. The objective of the fund is to diversify family holding through private investment. Verlinvest focuses on branded consumer product and service companies that capture selective long term consumer trends. The asset under management (AUM) of the fund is Euro 350 million. Their current investment in India includes investment in Nashik Vintners that runs the Sula Vineyards. Avendus Capital is a leading financial services firm which provides customised solutions in the areas of financial advisory, equity capital markets, wealth management and alternative asset management. The firm relies on its extensive track record, in-depth domain understanding and knowledge of the economic and regulatory environment, to offer research based solutions to its clients that include institutional investors, corporates and high net worth families. Avendus Securities through its Institutional Equities practice is able to offer clients best-in-class research-driven advice to help them take investment decisions, while Avendus PE Investment Advisors manages funds raised from its investors by investing in public markets and private equity. Headquartered in Mumbai, the firm has offices in New Delhi and Bangalore. Avendus Capital, Inc (US) and Avendus Capital (UK) Pvt. Ltd. located in New York and London respectively are wholly owned subsidiaries offering M&A and Private Equity syndication services to clients in the respective regions.